Wind and Willow Home: Plain cupcake wrappers are for the birds. Plain cupcake wrappers are for the birds. I think these cupcake wrappers will even make my cupcakes taste better :) What a delight. 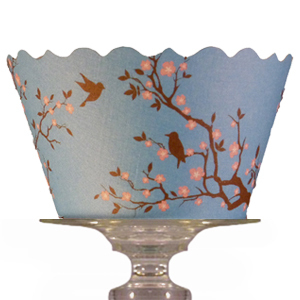 These Meisha-Bird with cherry blossom cupcake wrappers can be found at Bella Cupcake Couture.